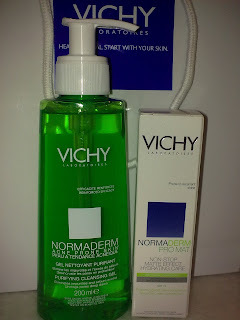 I received a letter from My Women's Weekly few days ago to inform me that I have won their July 10 Vichy Promotion, the prize is Vichy Normaderm products worth RM154. It has a Purifying Cleansing Gel(RM65) and Pro Mat Non-Stop Matte Effect Hydrating Care SPF15(RM89). 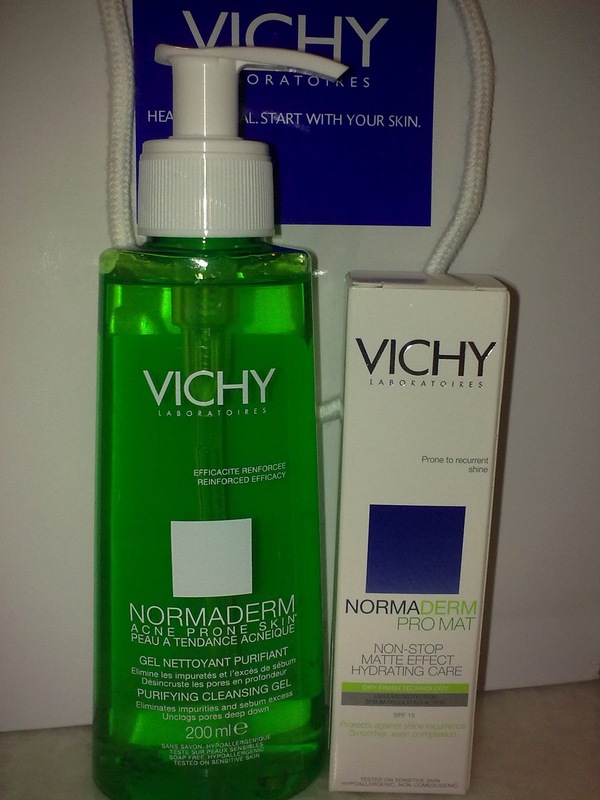 Vichy Purifying Cleansing Gel claims that it deeply cleanses and unblocks pores while removing impurities in-depth, while Pro Mat Non-Stop Matte Effect Hydrating Care SPF15 is a NEW generation of oil-free daily moisturizer with SPF15 which has a "Dry Touch" technology or matte effect that is 3 times better than standard formula for an unprecedented dry touch effect. The NEW formula combines 3 technologies to mattify and protect skin against sebum activating UV rays. congrats Rane ! Wow you are so lucky !! !